Remember my post about World Penguin Day? No? Well you can check it out here, because this is the part 2 of that post! Or if you’re feeling lazy here’s the background: Stonyfield Organic, who I’ve been working with the past few years, is sponsoring the AZA SAFE (Saving Animals from Extinction) program to help 10 save endangered species, including the African Penguin. AZA stands for Association of Zoos and Aquariums, and to promote their sponsorship, Stonyfield is encouraging families to check out these conservation efforts first-hand at AZA-accredited zoos and aquariums. I’m lucky enough in that both the zoo and aquarium here in Atlanta are AZA-accredited, so we can observe these conservation efforts whenever we go! We actually have a zoo membership that we received for his birthday, so we try to go when the weather’s nice and it’s also a fun thing to do with out of town guests. 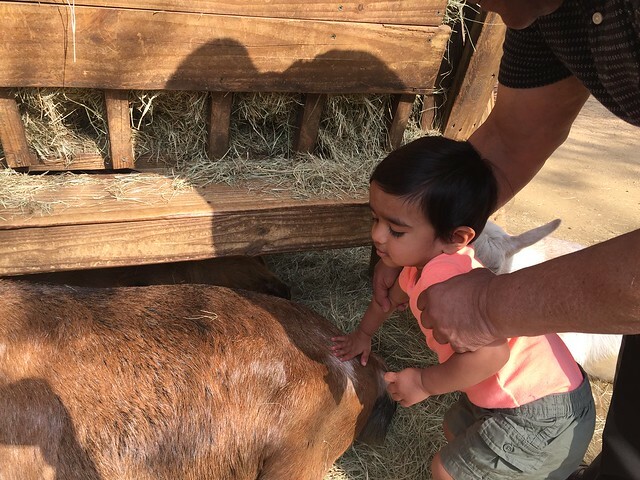 Every time I go to the zoo with my son we have a different experience. When he was itty bitty and not as mobile, we got to see more of the zoo and I got to chitchat with my mommy friends a lot more. 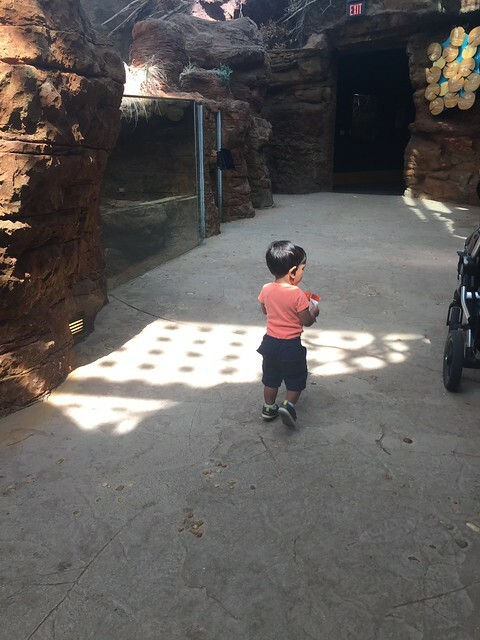 As he got older and could run around, keeping him in the stroller became a bigger challenge and we would have to choose which parts of the zoo we’d see and my friends and I would spend a good part of time wrangling our kids. 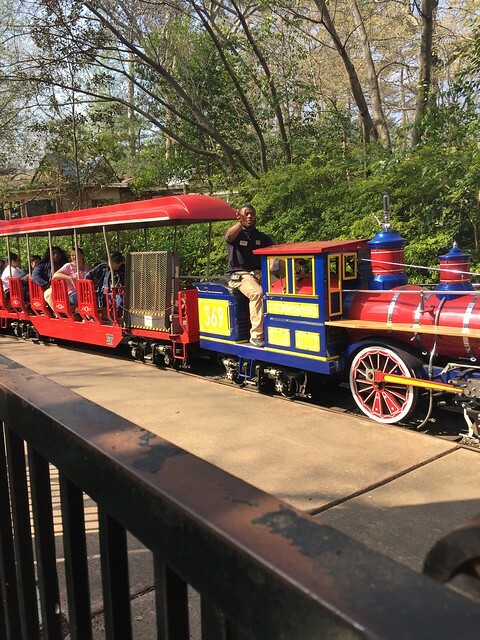 More recently, we’ve been skipping most of the exhibits and head to the playground and petting zoo and have also discovered the “choo-choo” that goes around the kids’ area. It’s so fun to see him get excited about seeing animals we’ve looked at in books, his little “wooooowww” gets me every time! As part of the AZA SAFE campaign, we were given general admission tickets by Stonyfield, so we went with a group last week and shared our tickets. 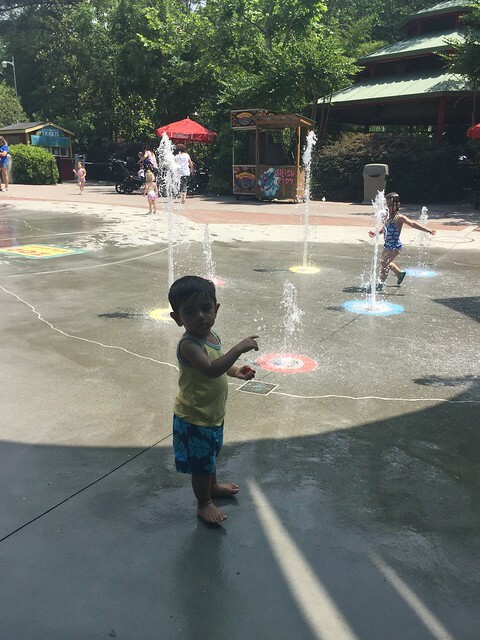 We seemed to have picked school field trip day, but we were able to avoid most of the crowds, we got to see the elephants, giraffes, the reptile center, and the petting zoo before we decided to hit up the splash pad, which just recently opened for the summer. At first he wouldn’t go unless I went up with him, but after a while he warmed up and then he didn’t want to leave the splash pad! I can tell we’ll be coming here a lot this summer when it’s hot outside! Thanks, Stonyfield for our zoo outing! *Disclosure: Stonyfield Organic provided me with coupons for their yogurt and provided me with general admission tickets to Zoo Atlanta as part of this campaign. All opinions are my own. Next post: Movie Date Night In With G.H. Cretors Popcorn!